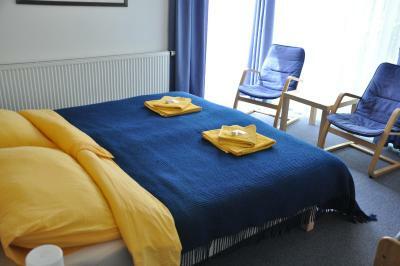 Lock in a great price for Lida Guest House – rated 9.2 by recent guests! Exceptional staff, delicious breakfast and a garden for our room which was perfect. They even have public transport tickets and snacks/drinks which you can have anytime day/night and pay at the checkout. The staff provided us with city maps as well as recommendations for the city. It was a perfect stay. 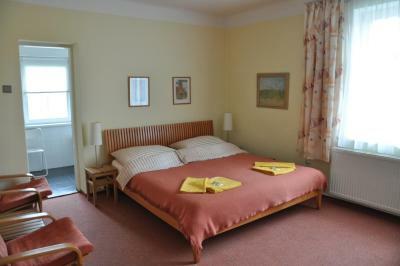 Our hosts Jan and Jitka were fabulous, room was very nice, comfortable and quite. Nice insight from Jan on Prague what to see and do, where to eat and getting around easily. The host was extremely helpful. They even picked us up from the train station. 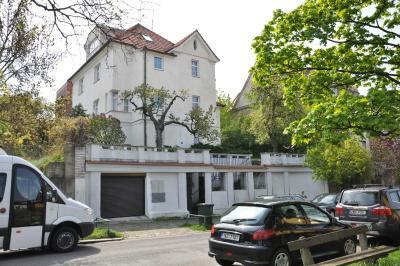 Lida Guest House is in a residential part of Prague within an easy walk of a metro stop and a shortly longer walk from a tram line to city center. The host welcomed us with tea and small cakes when we arrived and sat down with us to explain opportunities of sightseeing and use of the various transit systems in Prague. He sold us discounted transit passes and helped make us reservations for the theatre. He went out of his way to be helpful! Breakfast was delicious and plentiful and the room very comfortable. This was one of the nicest places we´ve ever booked. We arrived 4 hours after normal checkin time, which was not a problem after mail conversation. Very nice, very quite and also close to Metro station. We will definitly come again! The owners are very helpful and welcoming. 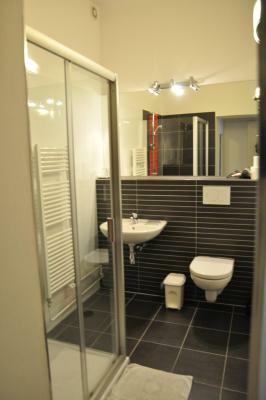 The room is big and the toilet and bath are big too. Bed is very comfortable. 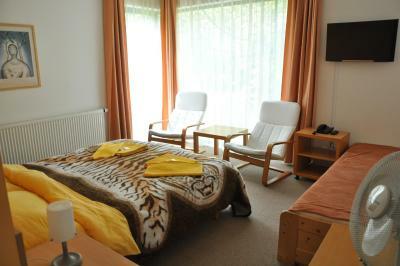 Very hospitable owners, a nice villa in a beautiful area, comfy and clean rooms. Continental breakfast, but the choice is reasonable. About 7 minutes of lazy walk from the underground. Some good eateries in the vicinity. 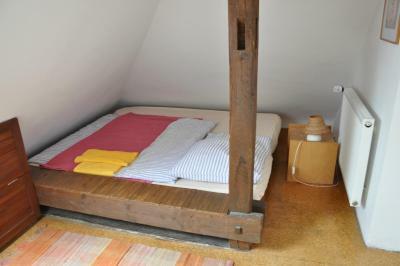 Mr. Jan is an exceptional host providing a lot of tips for chasing hidden gems in the city and the less touristy areas. The breakfast is neat and you feel like you are at home. 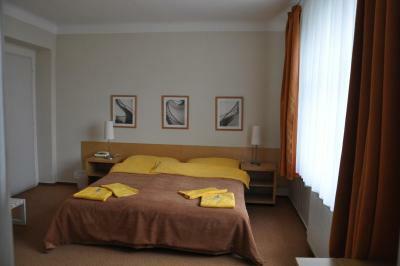 The room was big, everything was clean, the check-in and check-out processes went smoothly. 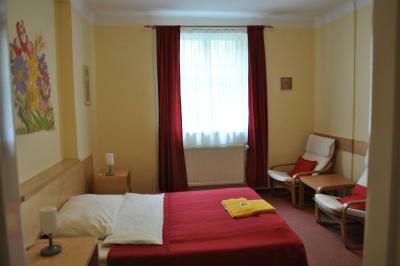 If we return to Prague, we will definitely choose this accommodation again. Lida Guest House This rating is a reflection of how the property compares to the industry standard when it comes to price, facilities and services available. It's based on a self-evaluation by the property. Use this rating to help choose your stay! 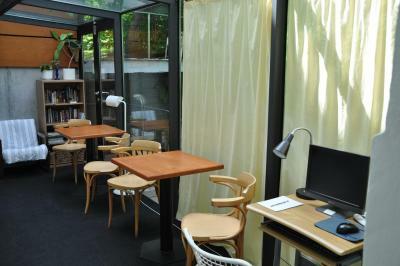 Located in Prague, a 5-minute drive from Wenceslas Square and the National Museum, Lida Guest House offers free WiFi, a garden with a terrace, a luggage storage room and air conditioning. The Vysehrad is a 10-minute walk away. 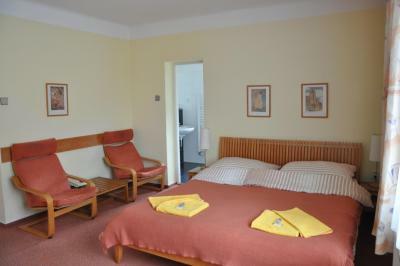 The rooms at the Lida all come with satellite TV, a small seating area and carpeted floors. 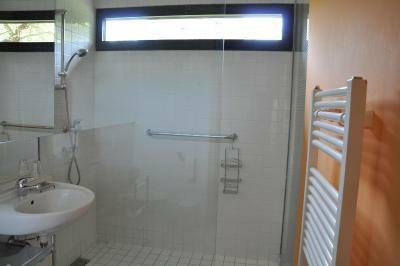 Each bathroom is fitted with a bathtub or shower, and a hairdryer. Breakfast is served daily at the property. A bicycle and car rental and a shuttle service to and from Prague´s Vaclav Havel Airport, 8.1 mi away, are available to all guests, as well. 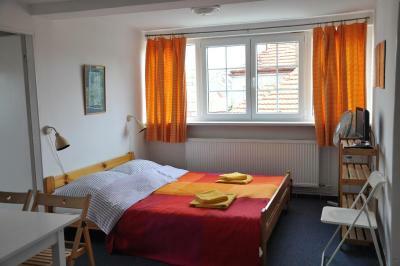 When would you like to stay at Lida Guest House? 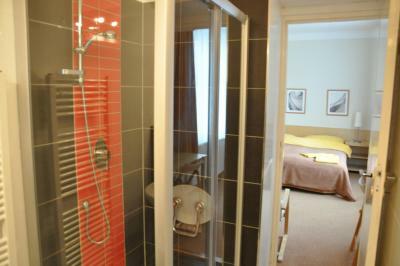 This air-conditioned room comes with satellite TV and private bathroom facilities. House Rules Lida Guest House takes special requests – add in the next step! Please inform Lida Guest House of your expected arrival time in advance. You can use the Special Requests box when booking, or contact the property directly using the contact details in your confirmation. Super friendly and accommodating staff. You cannot walk to the city center, however metro and tram lines are 10 minutes walk. It is quite a walk to the tram and train station. Great staff, very kind and helpful. 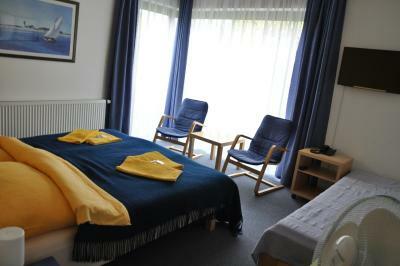 Very nice and comfortable rooms, and a very charming place. The hosts are very nice and helpful, great hospitality. For sure a nice place that we easily can recommend. 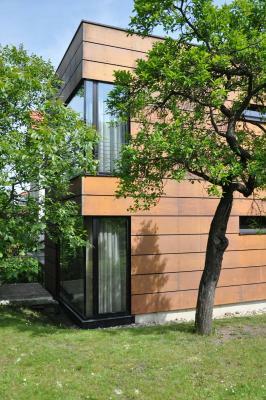 Wonderful hosts and modern home and facilities! The hosts are very nice, they able to help ín anything. Good breakfast.